Popular Swedish YouTuber PewDiePie could soon lose his top spot on the platform to the Indian channel T-Series and his most dedicated fans have taken the fight into their own hands. What started innocently with fans going so far as to buy space on billboards to promote the YouTuber's gaming channel has crossed the line after one fan hacked 50,000 printers. The hacker, who goes by the handle Hacker Giraffe, said they had identified 800,000 printers with open security settings and then selected 50,000 to print out a memo urging those affected to subscribe to PewDiePie's channel. T-Series, which posts Bollywood film trailers and music videos, is quite close to overtaking the number one spot on the platform as both channels have more than 73m subscribers. "All of this support to keep me on top is so funny. I love it. Please keep it up, but don't do anything illegal OK... because that will look bad on me." 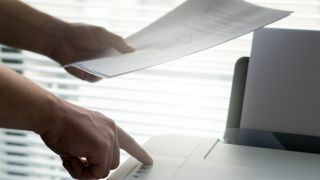 While the hack itself was not malicious in nature, it did shed light on how easily consumer devices can be compromised and hopefully printer manufacturers take note when designing future devices.